Sunday morning at 8:50AM, we welcomed our beautiful baby boy to the world. he's filled this place in our hearts we didn't even know we had. so in love. Congrats! Beautiful baby and beautiful name! So beautiful!! Congratulations, the journey has just begun. Oh he is precious.. These pictures convey so much love. Congratulations to you and Tyson. You guys will make such great parents. And your son will have the best birthdays.. getting to dress up and eat candy :) Congrats again! AHHhhh! I feel so lame about how excited I am right now. He is perfection. Congrats!!! Can't wait for pictures to come! Congratulations!!!! He is beautiful!!!!!!!!!!! So, so, SO happy for you and your little family! What a blessing. LOVE the name. Can't wait to hear more! He is so amazing. You described it perfectly... I felt the same way when my son was born, he filled a void in my life that I didn't even know had been there. Enjoy, mama! o my goodness! he's so so beautiful...so are the photos :) congrats!! Congratulations! A handsome little man already - no surprise given his parents. I can't wait to see him grow, you are going to be such a fabulous mama and Tyson just an amazing father. Can't wait to hear all about it, I hope you're doing well. Congratulations!!!! It's been wonderful following your blog as you went through your pregnancy and I look forward to seeing your adventures as a new mommy! That second photo is what it's all about. When they are so close to you and already looking up into your eyes... and you're right there staring back at them. Oh man, I want another baby. Aw man. So much potential for future Halloween-themed birthday parties! He's adorbs. You're going to be a great mama. Congrats lady! What a beautiful little boy. I love his name. CONRGATS!!!! he is adorable.... this is sooo precious. CONGRATS!! what a wonderful baby and what a wonderful family! Congratulations! He is precious! The best gift of life. You and your husband will be wonderful parents. Thank you for sharing this wonderful moment with us! Enjoy being a mommmy and a happy family! Umm. just wanted you to know how excited I was that you had your baby. Beautiful pictures. Love the name. Motherhood is incredible. congrats :) he is precious! happy for you guys and your family. Oh happiness! Finally your baby boy has arrived. Enjoy every minute! ...now i want a baby. he is PRECIOUS! congratulations, love! Congrats lady! What a handsome little man, can't wait to read more about him! Yay! I've been checking your blog every day, sometimes twice a day. Congrats to you and Ty! Baby Everett is beautiful! congratulations! he is so beautiful! so happy for you! Congratulations! He's so cute! And I love the name! So unique!! CONGRATS!!! Beautiful baby boy and love the name!! So happy for you! I can't stop smiling now. He is so perfect! I'm so happy for you guys! Praying for your swift recovery! Congrats Syd! He is a charmer! And I love that name!! Congrats! This is so wonderful! I love the name it is a strong name and I am so happy for your family! this just made me cry. so sweet. Congratulations! He's so sweet and such a cute name! Definitely one of the best moments in life is to hold your baby for the firs time! what a great name. 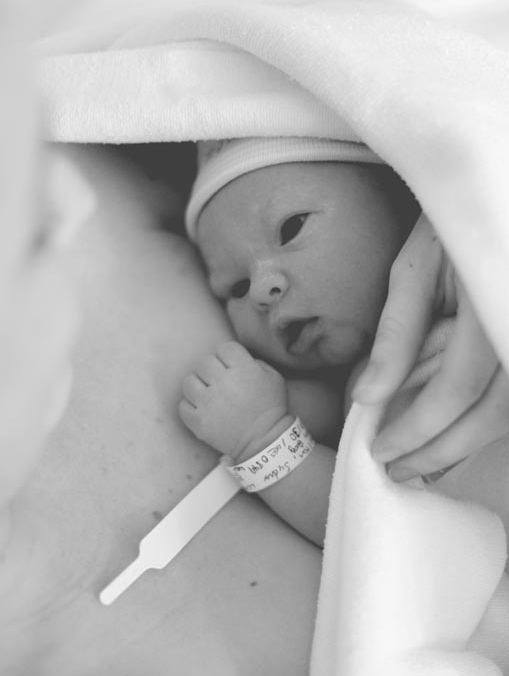 congratulations to mom, dad and baby everett! Oh my goodness! So precious! I was wondering if that was going to happen this weekend! I am so happy for you and your little family! He's beautiful and I love the unique name. :) Congratulations Sydney!! 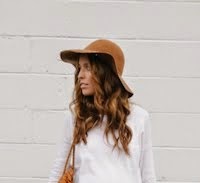 I've been following your blog for almost a year now and I can't believe that the girl with the wonderful outfits and such a free spirit that I feel that is my bff is now a mom! He is insanely gorgeous and I can't even imagine the love that he conveys in your and Ty's life! Congratulations!!! Such a beautiful baby boy! Wish you much love and happiness! congratulations!! he is just perfect. Eeeeek I've been following twitter all day yay! He's sooo precious and I love his name! Congratulations you guys! So happy for your family. Congratulations and welcome to the world Everett! Congratulations!!! He looks so sweet! What a lovely name! Congrats. Love his name. Enjoy him! congrats!! he is soo tiny and adorable!! i am soo excited to have my little one in just a few weeks!!! Congratulations love! He's a beauty and you're amazing<3 Love this all together. This is really exciting! It's been great following your pregnancy and now we get to meet the little guy! Congrats to you and yours! He's a cutie! seriously...the most beautiful baby! awwww...LOVE his name. LOVE. can't wait for more pics. HE'S SO BEAUTIFUL!!! OHHHH MYYYY GOODNEEEESS!!!!! tears. super amounts of tears. congratulations!!! Congratulations!!! :) He's beautiful! Love his name. :) Enjoy every moment- it goes so fast. Congratulations - he's so beautiful!! He is precious! And I love the name! I am so happy for you. What a great name and a beautiful baby boy! Congratulations! Get some rest and we'll see you soon! congratulations!!! what a cutie, and love the name! C O N G R A T S!! He's beautiful, what a great name! Congratulations!! What a beautiful baby by you've got! Happy day! He is so cute! Congratulations Sid that is AMAZING! He is too cute. brings back memories of my little one. ENJOY every little detail about him because he will literally be a different person in your house every month. Just started reading your blog a few weeks ago and I love it. Congratulations to you and your sweet family! Congratulations! A lovely name too. Best wishes for the new, extended family! I love his name! Boys names were always so hard for me until I started having kids and now I have a bunch I love(and probably won't use) and Everett is one of them. Congrats, mama!!! Congratulations, mom and dad. Absolutely beautiful. All of it. Congratulations!! He is beautiful and what a wonderful name! so happy for you! i hope you have a fast recovery, he is adorable! Enjoy every second of Everett. oh my goodness he is beautiful! Oh my gosh he is so perfect!! So precious!!! Enjoy every moment with your babe, and I absolutely adore the name!! He is absolutely stunning, and that first photo is just beautiful. Congratulations to your gorgeous family - all 3 of you now! Congratulations from all of us at Windsor!! He is beyond adorable! Oh my goodness you must love Family Stone as much as I do!!! Such a cute name! congrats!!! Congratulations! I'm so happy for the two of you! He is BEAUTIFUL! Congratulations! He is precious, and I love the name! I want to name my baby Everett too. Hope you and your hubby enjoy some rest- as much as you can. welcome to the world little E! Congrats!! he is absolutely beautiful!! with an adorable name to match!! so glad all is well! Beautiful baby and name. Congrats! He is one beautiful baby. Gorgeous shots! Congrats! Congratulations! Such a beautiful baby and such a wonderful name! You two will make great parents!! Yaaaaay!! Sooo happy for you guys, CONGRATS!! Can't wait to hear how everything went...and to see more pics of that handsome boy!! Congrats Sydney he is beautiful! So happy for y'all. CONGRATULATIONS POULTONS! What a beautiful baby! He is absolutely perfect! I can't wait to watch him grow. Congratulations to you and Tyson- your new little boy is as precious as they come! He's so perfect and precious and tiny. Congratulations! Oh my congrats! You must be over the moon! awhh! He is just precious and i love love love the name. We've been trying get preggo for a while now and are so jealous and excited for you and your cute family. Ive been taking notes on how to look adorable with a big o belly. You made it look so easy! Yay that he is finally here. Congratulations! Congratulations!! Beautiful boy, beautiful name. i'm so happy for you, Sydney!! congratulations! So so happy to finally meet you little Everett! oh my gosh. there are no words. congratulations. the family is complete now!! what an entrance!!! how many days of labor is that total? so beautiful. hope you are enjoying your little boy - he is precious! he's beautiful! it's amazing to see what love and God can do. congratulations Sydney and Tyson! Congratulations! Love the name!!! He's adorable! Congrats beautifuL! :) He is absolutely darling and a true blessing from God! I hope you enjoy every second with Him tonight! p.s. My baby boy was a tiny 6lb-er, too...birthing him was hard enough...I can't imagine what it's like for the moms with 10lb+ babies! Oh how breathtaking! Everett is such a wonderful name. Congratulations! Congratulations! He's adorable and I love the name! Ohhh I wanna hold him! He's so sweet! Congrats! Congratulations!!! He is so adorable...I'm so happy for you and your husband. Congratulations again!! Congrats!! Love the name! :) My dad and brother's middle names are Everett. My brother goes by Everett though. :) Is he named after anyone? he is too precious - and love his name! welcome to the world, baby e!!!! ohmygoshhhh congrats mamma!! Welcome to the club!! You're going to LOVE motherhood...it's the single best thing I've ever done in my life. He is a doll! Plus I love the name...that's my nephews name and he's pretty rad! Enjoy one of the best gifts God has to give us. Oh...my...so exciting and so precious Sydney...such a special moment being a mama and you have certainly inspired me..your strength..can't wait to hear the story and meet the little man..Congrats!!! Congratulations he is so handsome. He is BEAUTIFUL. Congrats to your little family! Oh he's so beautiful! I love E names - Everett is such a lovely one. Congratulations!! He is so beautiful. I'm so happy for you guys. Congrats!!!! Such a gorgeous name!!! Adore the name. So exciting for you! He's filled a place in your hearts you didn't even know you had. I LOVE that. I feel the same way about my babe. oh my goodness! he's perfect! what a lovely name! congratulations! wow, how amazing and fantastic, a big congrats to the 3 of you!!! Congrats Hon! He's so handsome! Love the name ! Congratulations! This is such an exciting time! Love the name btw. Congratulations! Such a sweet, adorable little boy. Aw, beautiful baby, beautiful name, beautiful mama! Congrats! Can't wait to hear how everything went for y'all! so syd. i'm currently in china for two weeks helping some friends who live here. i have literally been thinking about you a lot and waiting for news of baby. he's so precious and now i totally have baby fear. :) thanks for that. xoxo to your adorable new family. So precious. Can't wait to hear more about him and your birthing process! Mama and baby look perfect. Well done! We are all so excited to meet this little man! This is the start of the greatest journey of your life. Welcome to the world Everett! how very special and wonderful! Congratulations!!! aww! i was thinking about you this weekend, wondering if you had him! congrats! best wishes to you and the baby! I feel like i've been stalking you, waiting till this little babe is born. he's beautiful in every way. Oh my gosh, I am literally crying right now because I am so happy for you and Tyson! I adore you both and I'm so overjoyed to see your lives being filled with so many blessings! Congratulations!! He is beautiful. Treasure these moments-they go by so quickly. I've been a long time reader and now I'm a first time commenter. I'm not one to be very vocal about my thoughts and opinions, but I must tell you, Miss. S, you've inspired me. In many small ways. I bow my head in silent gratitude and would like to congratulate you very abundantly on bringing a little angel to this world. He couldn't have happened to a nicer family. I truly deeply respect all mothers, and cannot wait till I have the honour of being one. Congratulations! He is adorable.. so happy for you. I couldn't be more excited for you! You guys are going to make the most amazing parents and little Everett is the most darling baby ever. These photo's of you two together or unbelievable. Congrats. Congratulations Sydney and Tyson! He is absolutely beautiful. Best wishes on your new addition. When I saw your little boy, I thought, "Awwww, he's so cute!" When I heard the name you picked out I thought, "Wow"
Everett Stone...that just sounds like a successful guy, doesn't it? Very good name! I love baby names! I didn't really care too much until I went through the hassle/drama of picking one out! I am so excited and happy for you! You will hear this piece of advice from everyone and their mom, but, enjoy every little moment with him! Also, don't take anything too seriously! I think that's my best advice....that and make your own baby food! You will save thousands and feed little Everett better food because of it! Congrats to your sweet family! such a beautiful picture of mama and baby boy. Such a strong name too. Is there a story behind it? i get so excited when my blog friends have babies and you were no different. you were by far the best-dressed pregnant lady and i know that you will be one amazing, stylish mom! congratulations on your new baby-- i wonder if you love the family stone as much as i do or if you just picked a great name, either way i love it. and he is so precious. Sydney and Tyson!! We are so happy for your new little family! Welcome Everett! Congratulations, Tyson and Sydney!! :) Eeek. At last! I have been all over your blog the last few days waiting for the happy news - hope everything goes well for you 3 in these upcoming days! Gorgeous! And congratulations, he is wonderful. I've been checking back waiting to see your precious baby boy! Everett Stone, possibly the cutest baby ever.